As an entrepreneur venturing into the mobile space, you must make important financial considerations. It’s no secret that app development is a significant financial investment, so careful planning is absolutely paramount. We’ve put together some quick tips to help you get started. You might be in love with your idea, but does the market feel the same? Before you even start budgeting, you should make sure the investment you are about to make is viable. The only way you’ll know is if you go out and ask your potential customers directly. You may want to consider conducting interviews with people within your network who you have identified as your target market. If no-one fits the description, you can use the internet to connect with people who may be suitable choices for interviewees. You will derive the most value from interviews if you keep in mind that the purpose of conducting market research is to LISTEN to the problems and UNDERSTAND the needs of users. Since this is not an investor pitch, ensuring that your questions are non-specific to your idea is very important. An awareness about ‘confirmation bias’ is also important. This is the unconscious tendency to agree with already held beliefs. Welcome constructive criticism, it will only make your product better. If the potential users are showing interest in your mobile app idea, this is when you should be starting to build an app you can use to test your idea. It is recommended that you begin with the Minimal Viable Product (MVP). Building an MVP involves creating an app that only has the most essential features. You are then able to release this app to test if your app actually resonates with the market. Many successful apps, like Twitter and Foursquare, started off with this approach. As part of your budgeting considerations, it is may also be important to keep in mind that creating for Android and iOS platforms is completely different. From a development perspective, it is double the work, therefore, double the price. It may be an option for you to build for just one platform first and invest in the other platform after you have tested your idea in the market. First, it is important to work out HOW you will make money from your app. In-app purchases, advertising and charging a payment are the most common ways apps make money. During the revenue projection phase, you should be looking at your sales and marketing capacities. In addition, it is important to also consider consumers and their buying patterns. How do they make decisions and how can you leverage this behaviour? Of course, being honest (and perhaps skeptical) about your capabilities will keep you level headed while you are working on your venture. Setting modest revenue numbers is not to say that you should not think big. After creating the ‘conservative’ budget, you should also create a budget with more ambitious revenue targets. This is primarily an exercise in motivation, as you aspire to bigger goals, you work harder to achieve them. However, pragmatism should be practiced when looking at these numbers. The focus of your budget lies mostly in the expenses you will have. Some costs are often overlooked because they are non-obvious. If you make sure you cover everything, there will be less surprises while you are in the middle of app development. Below are some of the common expenses you may encounter as an app development startup. 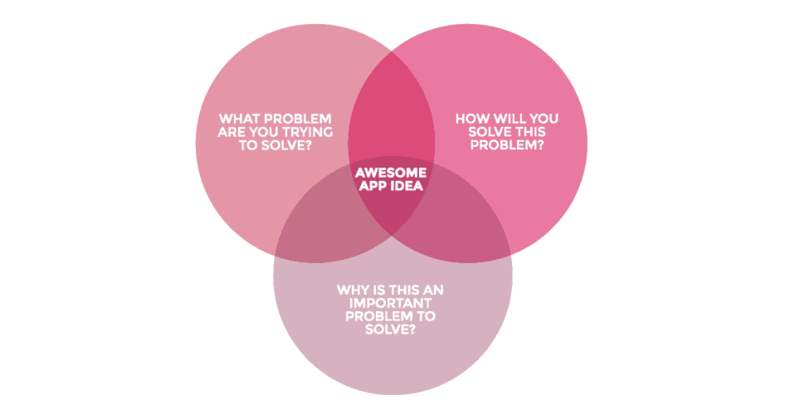 Having an understanding of the business side of your mobile application idea will prepare you for the road ahead. It is important to understand that there are always surprises along the way, but having a solid base will definitely help soften any unexpected costs.